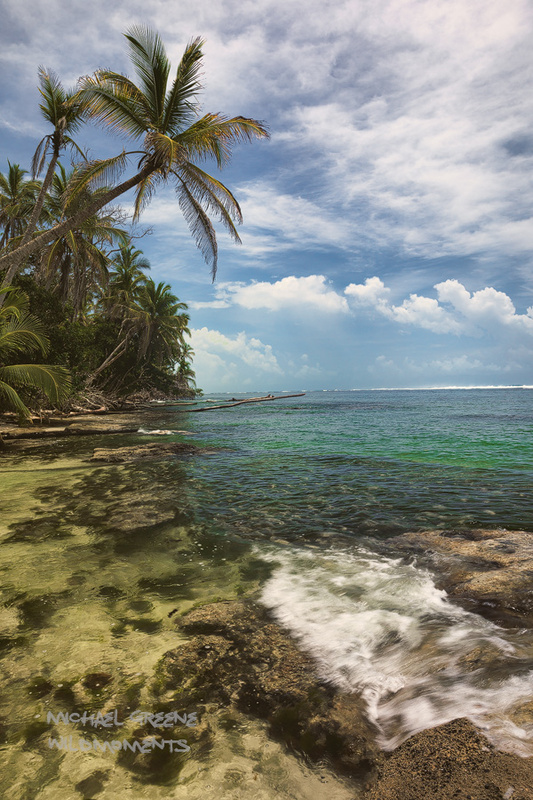 Exploring the coastal coral reefs at Cahuita NP is an exciting way to spend an afternoon. Surrounded by palm trees, coconuts, hermit crabs, and the Caribbean's sparkling turquoise waters this place is sure to capture your imagination. Cahuita National Park is located in SE Costa Rica near the resort town of Puerto Viejo. Photo © copyright by Michael Greene.